Six pregnant Texas woman tested positive for Zika health officials announced Thursday. The patients hailed from Harris County where, locally, this marked the first cases of the mosquito-borne virus reported this year. In a press release, Legacy Community Health advised they screened these women for Zika months ago and gave them preliminary diagnoses. In May, Legacy learned from the Centers for Disease Control and Prevention (CDC) all of the pregnancies tested came back positive for Zika. Legacy, a system of 29 clinics in southeast Texas, only released that the women contracted the virus while traveling outside of the United States and they delivered their babies. While Zika is generally a mild virus for most, pregnant women continue to be the most vulnerable population given the reported health risks to their unborn babies, most notably microcephaly, where a newborn’s head and brain only partially develops leaving the infant with a small, deformed head. It remains unknown if any of these infants were born with Zika-related birth defects. “The threat of Zika is lower this year than last in our hemisphere, but as our six latest cases show, pregnant women in Texas should remain vigilant,” said Dr. Ann Barnes, Legacy’s chief medical officer in a prepared statement. Last year, Legacy saw eight Zika cases. Previously, the state reported 14 Zika cases in 2017, with a cumulative 323 cases since 2015. 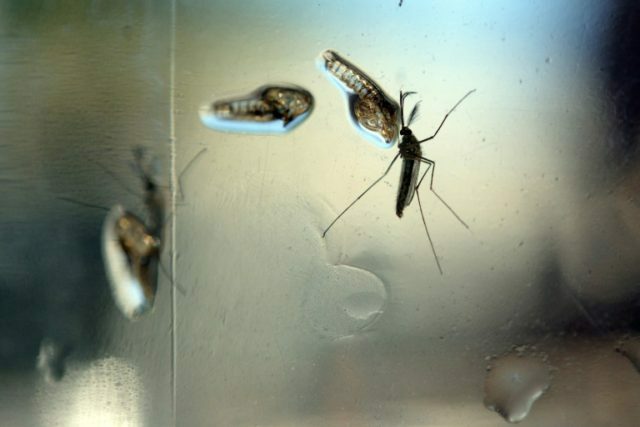 Texas Department of State Health Services spokesman Chris Van Deusen told Breitbart Texas that 206 of these cases were pregnant women who tested Zika-positive. He said, of the 206, 148 gave birth and they know the outcome of these pregnancies: 13 of the live births or fetal losses had some form of Zika consistent birth defect. Four of the the 13 tested positive for Zika at birth, six did not test positive, and three, health officials did not have results yet. In November, the World Health Organization (WHO) called off its Zika global public health emergency. The continental U.S. witnessed a drop in these cases; however, CDC alerts remain in effect for pregnant women to postpone travel to Cameron County in south Texas and to Miami-Dade County in south Florida. Last year, the CDC listed Cameron County in south Texas as a yellow area after five locally transmitted cases erupted in the county’s main city Brownsville, Breitbart Texas reported. He said Zika transmission remains high in Peru, Ecuador, Argentina, and Bolivia but did not believe this would affect Texas since the majority of Zika came from travel to Mexico, much like in south Florida where traffic to the Caribbean sparked the Miami outbreak. He stated, “If you’re pregnant and living in south Texas you still need to be vigilant,” adding that expectant mothers should have conversations with their obstetricians over protective measures. Hotez noted pregnant women in large urban areas like Houston, San Antonio, and Dallas should keep a watchful eye. The Aedes aegypti mosquito that carries Zika is native to Texas and it also transmits West Nile, dengue, and chikungunya viruses. This type of mosquito, an aggressive daytime biter, often thrives near populated areas.